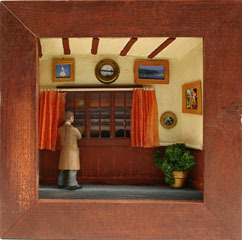 These kits contain the materials (except glue and paint) needed to create wooden framed three dimensional scenes (approximately 130mm square x 30mm deep). 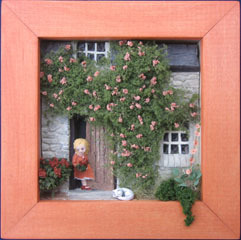 The kits contain the frame, cast scene and materials to produce the grass, flowers, etc. Instructions are included. Additional instructions for making other types of flower are available by clicking the link below - Click on a picture for more details. 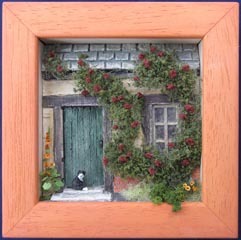 Click here for a pdf file containing more details of how to create flowers, etc for the picture boxes. 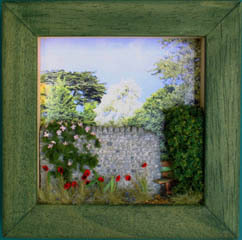 Completed picture boxes are also available for those who do not want to make up their own kit - please contact us for details.